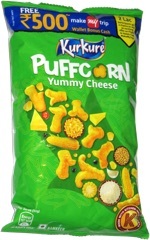 Taste test: These are very light and airy potato chips with a good potato taste. The taste is a lot like a baked potato, without a whole lot of salt. They moisten your mouth when you bite into them, as many chips cooked in soybean oil do, but these don't have the greasy taste that others do, so they're pretty good. Smell test: Slightly strange potato smell, but not too bad. 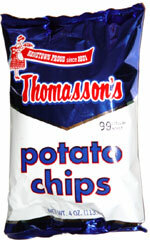 Company: Thomasson Potato Chip Co.